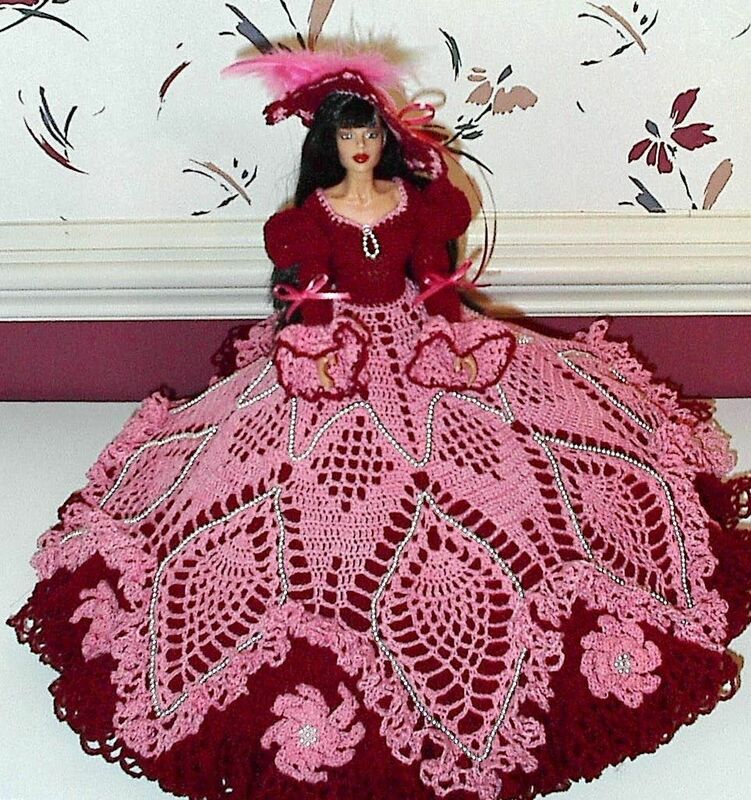 Crocheted bed dolls are made with size 10 thread on overskirts. 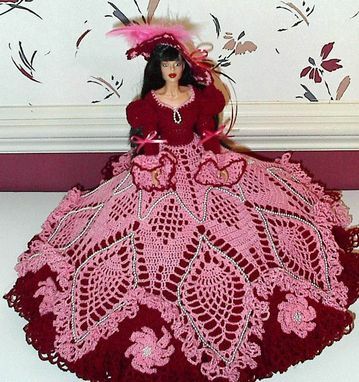 Underskirts are crocheted in yarn with fiberfil for self-standing. The doll is a Paradise Fashion doll and has soft skin, it is not a Barbie. She has a pineapple skirt with flowers and bow. Was the First Place Winner in the Virginia State Fair.